Could FCA revive the affordable roadster market with the Fiat 124 Spider? 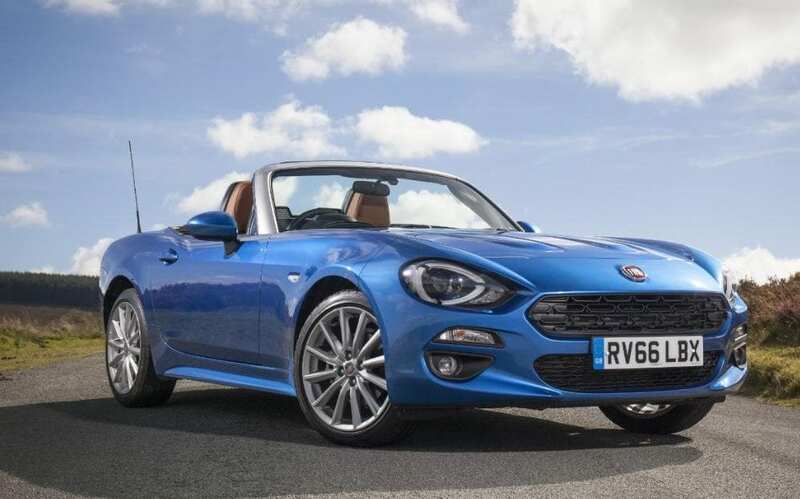 Thread: Could FCA revive the affordable roadster market with the Fiat 124 Spider? Styling wise, the Mazda-based 124 Spider could be a mini-Maserati, and the interior is better than that of the three-times as pricey Alfa 4C. This little roadster has much to offer for anyone wanting an alternative to the plethora of B-SUVs bombarding the European and North American markets. Remember the Cadillac BLS? Thought not. How about the Lancia Flavia Cabrio? Saab 9-7X? Not ringing any bells? These were all restyles of someone else's vanilla car and none lasted long in production. All of which makes the new 124 Spider a model we should be congratulating both Mazda and FCA on. The 124 wasn't originally intended to be the Fiat and Abarth models which is now is. Instead, Mazda was supposed to create a new Duetto for Alfa Romeo. As is more or less normal with most announced FCA future vehicles, plans changed and the vehicle programme in question was delayed. Anyone who thinks the 124 Spiders are simply a nose and bum job on the Mazda Roadster/MX-5 is wrong. For starters, the Italian brand models have their own Fiat Powertrain Technologies engine. It could do with more power but perhaps that will happen later in the production cycle. Will there be a fastback? FPT's 140hp turbocharged 1.4-litre four-cylinder unit is shipped to Hiroshima, and fitted to the Fiat 124 Spider and Abarth 124 Spider at Ujina No.1; the same plant where the Mazda is made. There is no sign yet of FCA model counterparts for the Roadster/MX-5 RF (Retractable Fastback). It seems a foregone conclusion that the Abarth, and likely the Fiat too, will be offered as a sort of coupe, though. That's going on the presumption that FCA will seek to associate the production model with the newly announced Abarth rally car. Having only 140 horsepower ought to mean that the 124 is a frustratingly slow car but it isn't. That's down to Mazda's applaudable obsession with weight loss. The previous generation Roadster/MX-5 was already anything but lardy, yet the firm's engineers managed to find ways to lose a further 100kg. The three brands' cars use Mazda's SkyActiv RWD platform and no doubt the FCA supply contract made the business case for the model far more water tight. These sorts of cars are largely in decline. Witness Volkswagen UK recently dropping the Golf Cabrio, the failure of the BMW Z4 - both became way too expensive compared to their predecessors - and just about every other manufacturer looking at but rejecting entry to this class of vehicle. Hardly anyone in high-growth China or India wants a convertible, most parts of Australia are too exposed to extreme heat for such vehicles to be practical, but still there are places where people do like the feeling of driving a sleek, open car. Southern England remains one - albeit demand is nothing like it was in the time of the long-ago MGF - plus certain other European countries, as well as Japan and some US states. But that's about it. Given that background, it's a wonder other OEMs never thought to try a product sharing arrangement with Mazda so all credit to FCA for making it happen. To say the 124 Spider is a delight to drive on a winter's day in England is a big understatement. Even with its sides quickly gathering a coat of salt, the Italia Blue press car made people smile. Then again, that might have been pity for the happy looking simpleton driving it with the top down in late December. It does make people grin, this car. I've enjoyed a few drives in the latest shape MX-5 yet it can be buzzy and unpleasant at high speeds on long journeys. Not so the Fiat, at least during the days we spent together. Fiat UK is wise to be using a sort of dolce vita approach to the car's marketing. This is also part of the message in North America, where the Abarth 124 Spider is instead the gloriously named Fiat 124 Spider Elaborazione Abarth. Worldwide, there is an intended association with the 124 Spider from 1966 and it's no stretch to say that the latest model is just as good looking to many people's eyes. The deep-set headlights are there but well integrated into the styling, and the tail lights also have a Fiat link via a piece of body-coloured plastic within them, as with the 500. FCA has also done well in choosing wheels which make the car look far more expensive than it is. Swing yourself into either seat and it's tight-ish fit or if you work in advertising or as an estate agent, 'cosy' and 'bijou'. Glove box? Door pockets? Air between the knees of any passenger taller than six feet and the dashboard? Err, no. There just isn't the room for any of these. There is some storage space on the central tunnel plus a deceptively commodious cave behind the seats which you gain access to via a flip-down black plastic door. I got a couple of one-litre water bottles, a sunglasses case and various other odds and sods in there. Having singled out the Clio for a beating over its awkwardly placed START-STOP button and similarly RHD-phobic handbrake positioning, let's praise Mazda's homeland for being right-hand drive. Yes, the hand brake is brilliantly convenient for….well, you can guess what. Wet roads, traction control off. I cannot think of another car which has such a satisfying manual transmission gearchange, aside from all generations of the MX-5. It isn't just how short the lever is either, it's the precision of the thing. Dealers should offer anyone who comes in ready to sign up for a 500X a test drive in the not too much more expensive 124. All other Fiats, the Cinquecento especially, just feel sloppy after even the briefest of blasts in this roadster. Some people will want a motorised top but they are out of luck. To lower the canvas roof, you pull a handle above the rear-view mirror, the roof lifts and then it's easy as pushing it over your head and then one firm press locks it in place. Raising the top is just as simple, and as quick. The windows lower themselves automatically in each case. For what is more or less a Fiesta sized car, the boot is surprisingly decently sized. Don't even think about squeezing a suitcase in there but a large soft bag can be convinced to fit. The bootlid is constructed from aluminium, and so too are the front wings and the bonnet. At the other end, you'll find quite a cleanly detailed north-south mounted 1.4-litre MultiAir turbocharged petrol engine. As noted above, power is 140hp but there is better news on the torque front. That's 240Nm. Zero to 62mph takes 7.5 seconds and the top speed is 134mph. Want to make it feel faster than that? Take the roof down. But turn the seat heaters on first. And the toasty steering wheel too? No, there isn't heating for that but you can't have everything can you? There is a decent standard spec on all UK market cars, which includes leather covering for the steering wheel and gear knob, cruise control, A/C, Bluetooth, keyless start and nicely styled alloy rims. Prices start at £20,995. A facelift is due out in early 2020, and at this stage it isn't known if FCA will commit to a new generation for the Fiat and Abarth brands. At the moment, that does look likely, as sales are good. Even in Germany, not a country famous for its love of affordable roadsters, Fiat sold 700 cars in the last few months of 2016, which augers well for 2017. Numbers for Canada totalled 258 units, and in the USA, 2,475 were delivered. Registrations for the UK were not available at the time of writing. Read more on Just Auto.